This Nepali Lokta paper envelope is handmade using traditional method. The envelope has a transparent hard plastic on front. The envelope can be used for various purposes; you can preserve or send your important documents, letters, and gifts inside this envelope. Lokta paper is durable, resistance to tearing, and has anti insects and anti moth qualities. Dispatching or preserving your important documents inside this envelope will surely keep it safe. 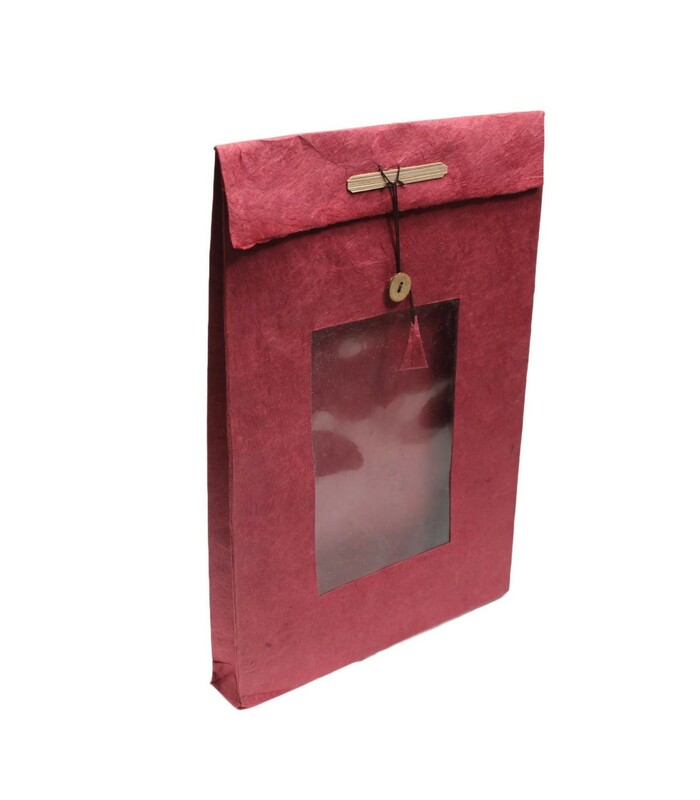 The paper is dyed using natural dyes, you can get these envelope in various amazing colours.